Dell EqualLogic PS4100E and PS4100XV, an excellent option for any small to medium size business seeking a budget friendly file storage solution! 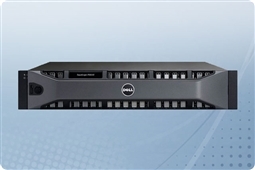 Dell EqualLogic PS4110E, perfect for SMBs in need of easily scaled big data storage and fast 10GbE connectivity! Dell EqualLogic PS6100E and PS6100X, great for high capacity file storage solutions, application storage, and archives! Dell EqualLogic PS6110E, PS6110X, and PS6110XV, allows any business to stand up to the big data explosion with fast 10GbE connectivity and excellent capacity! Dell EqualLogic PS6210X, PS6210XV , and PS6210XS , the best in class storage solution for big data application storage with 10GbE connectivity and 16GB of controller cache! Aventis Systems offers a 3 Year Essentials warranty on all EqualLogic Storage with optional Secure Drive, Extended, Express, and Onsite warranty upgrades. So shop below and find the perfect EqualLogic PS Series Storage array to help you Get IT Done! Curious if the Dell EqualLogic SAN (Storage Area Network) arrays are right for your business continuity and budget? Check out our Survival Guide: Avoiding A Data Apocalypse today!